Published: Nov. 12, 2017 at 01:54 p.m.
Tampa Bay Buccaneers wide receiver Bernard Reedy nearly returns back a punt to house. 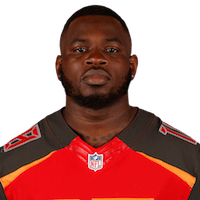 Published: Aug. 31, 2017 at 10:37 p.m.
Tampa Bay Buccaneers wide receiver Bernard Reedy brings down 10-yard touchdown pass from quarterback Sefo Liufau vs. Washington Redskins in Week 4 of the 2017 NFL preseason. Published: Aug. 20, 2016 at 10:11 p.m.
Tampa Bay Buccaneers wide receiver Bernard Reedy takes end around for 20 yards and a first down.